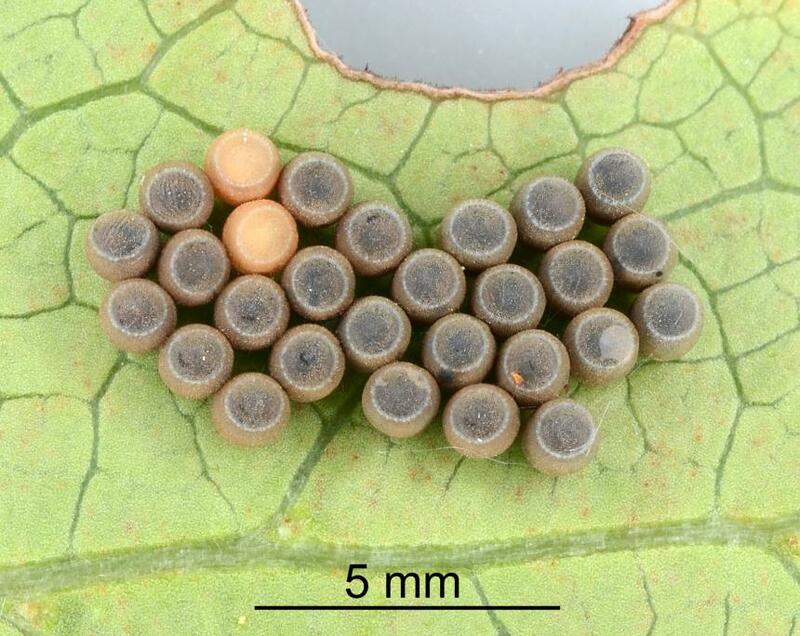 The adventive egg parasitoid of Green vegetable bug Nezara viridula (Hemiptera: Pentatomidae) was released into New Zealand in 1949 to help control the pest of crops such as beans and sweet corn. 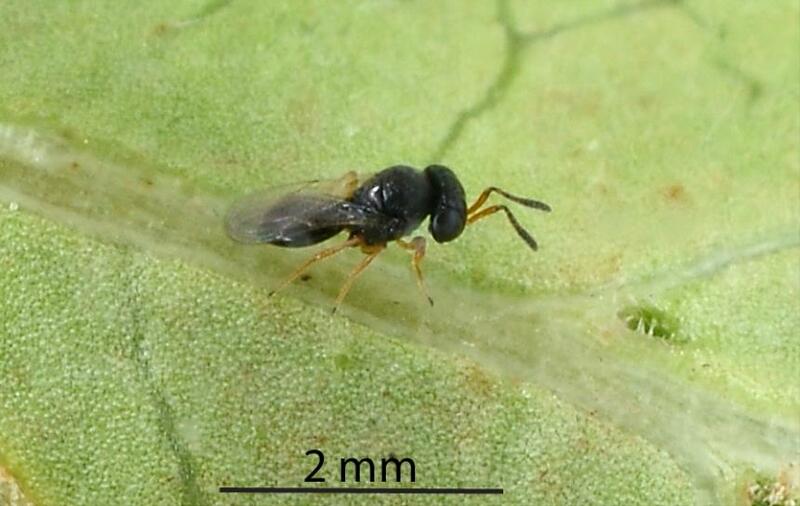 The population of the Green vegetable bug egg parasitoid released came from Australia. 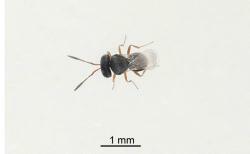 The parasitoid has since been found to attack native and Australian shield bugs in New Zealand. It is found in areas of New Zealand that are suitable for Green vegetable bug. 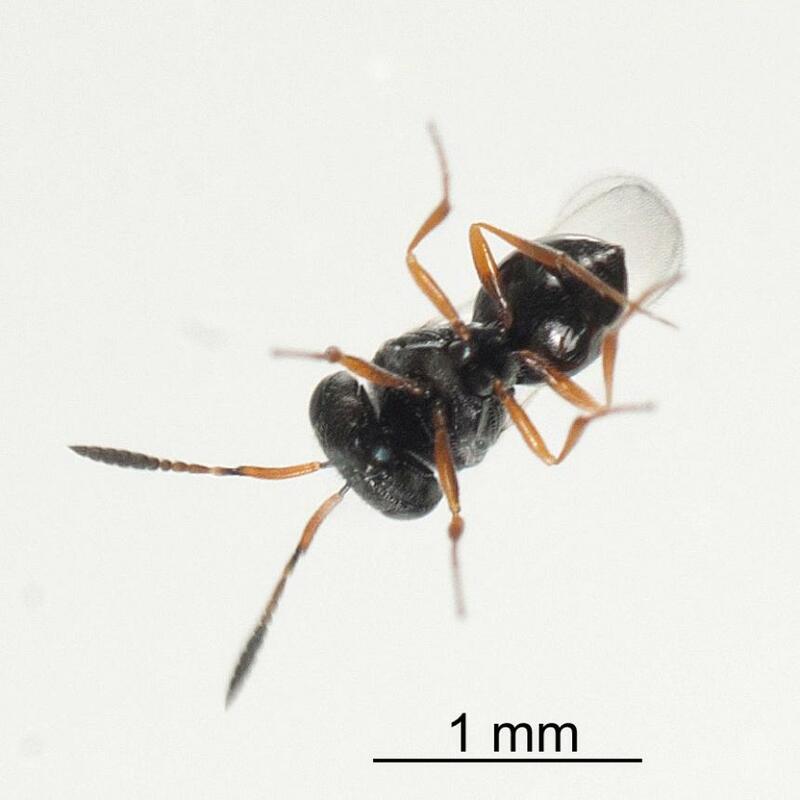 Conservation status: An adventive parasitoid released into New Zealand to provide biological of the crop pest, Green vegetable bug that also attacks native Pentatomidae. 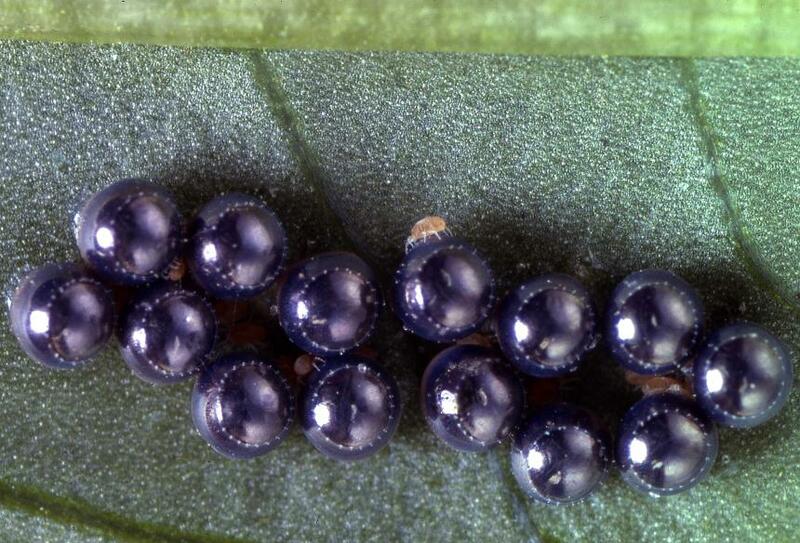 In spring, adult female Green vegetable bug egg parasitoids locate clusters of eggs of Shield bugs and Soldier bugs (Hemiptera: Pentatomidae). 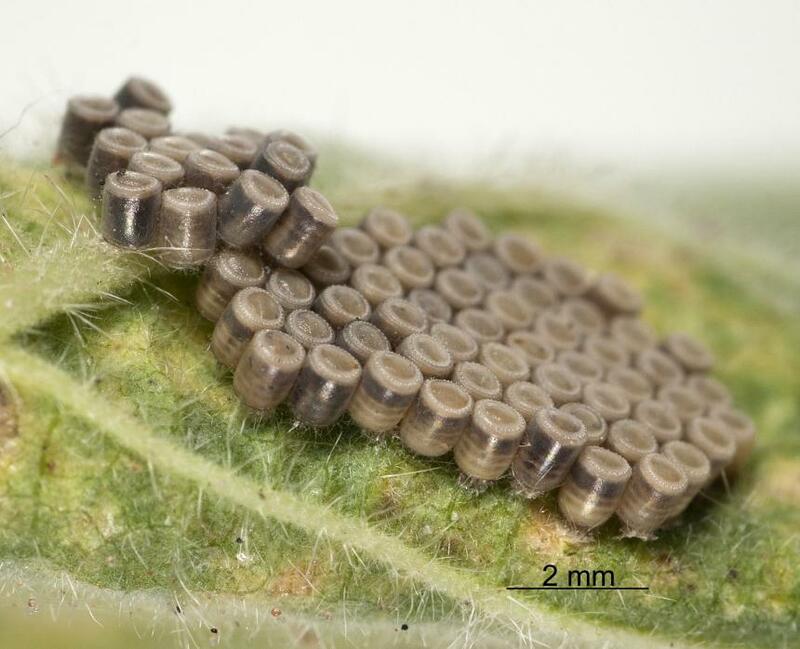 They lay an egg in each shield bug egg. 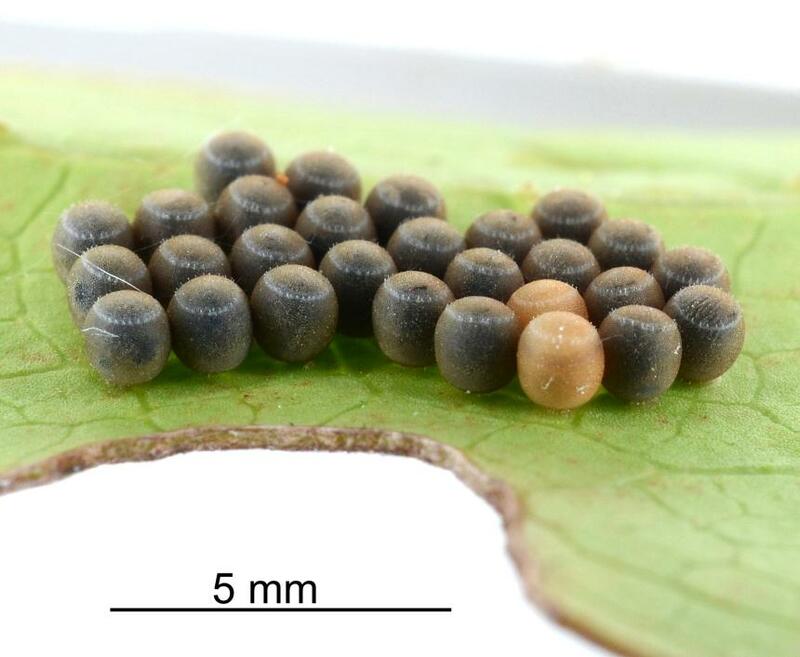 The parasitised shield bug egg turns black. The wasp larva hatches and feeds on the developing bug, consuming all of it. 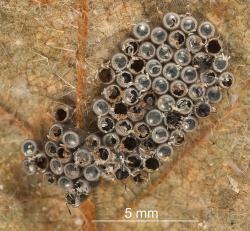 When the wasp larva is full grown it pupates within the egg shell. 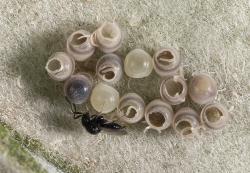 When it is fully developed, the adult wasp sheds the pupal skin and when its body has hardened, it chews a hole in the top of the egg shell and emerges. There are several overlapping generations per year. They over-winter as mated females. The adult wasps are black and have large heads and thorax (middle part of the body) and a relatively small abdomen. 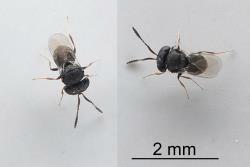 The dorsal (top) of the head and thorax are covered with fine punctures. The three pairs of legs and the basal half of the antennae are a pale reddish brown. They have two pairs of wings that extend just beyond the end of the abdomen. 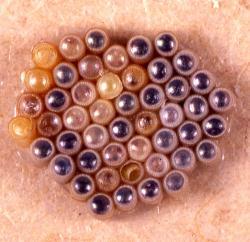 The mated female can lay male and female eggs, but eggs laid by an unmated female only produce males. 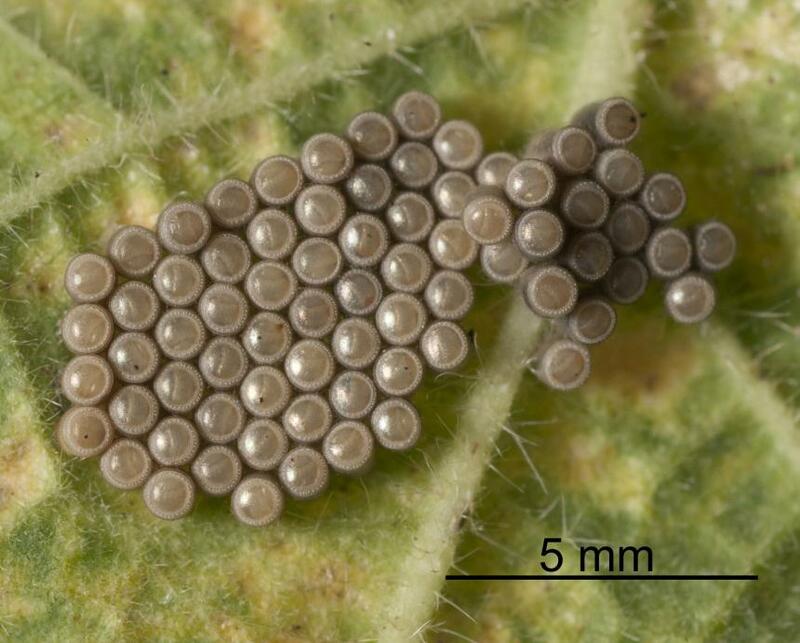 Ron Cumber in his 1964 paper records his detailed observations on egg laying behaviour of the females of two Trissolcus species. 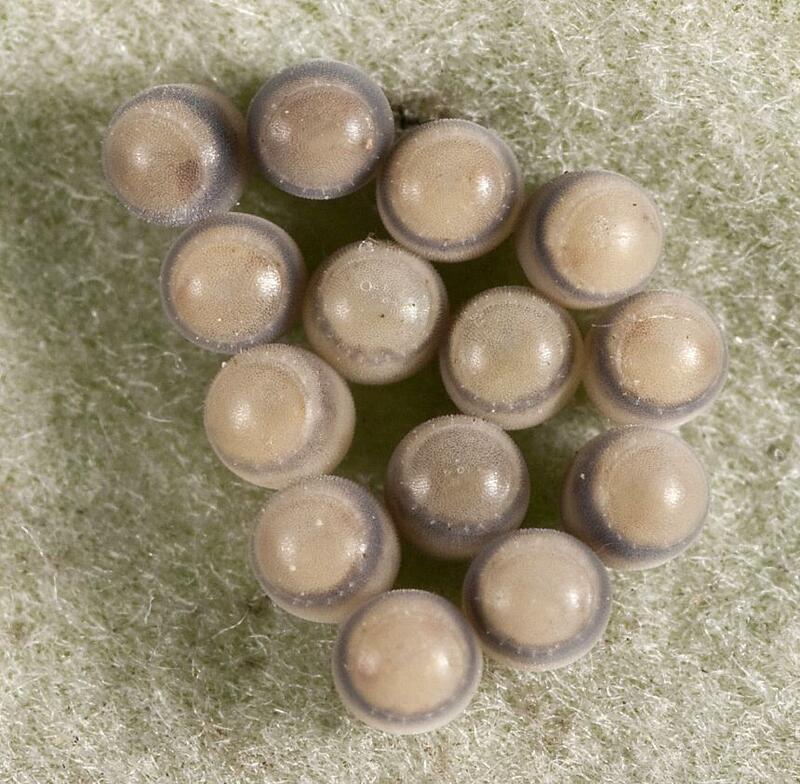 When the Green vegetable bug egg parasitoid is laying an egg, the wings of the female wasp lie almost touching the top of the eggs during oviposition, with a slight tendency for one wing to be raised above the other. After the wasp egg has been laid, the shield bug egg is marked by the tip of the ovipositor being wiped from side to side over the egg above the point of oviposition. 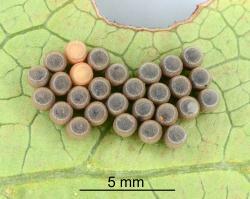 This marking prevents the ovipositing wasp or another female wasp from laying an egg in the bug egg. 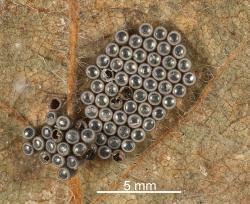 However, it won’t prevent another species of egg parasitoid laying its egg in the shield bug egg. Identification of the adult wasps requires expert knowledge. 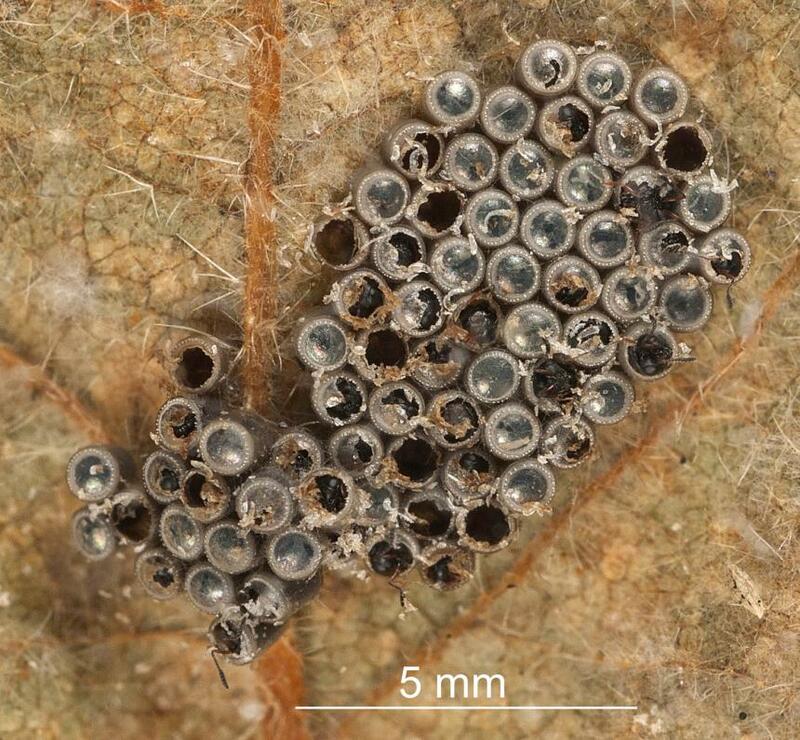 However, the name of the wasp parasitizing some shield bug (Pentatomidae) eggs can usually be determined by the colour of the eggs. The herbivorous shield bugs have relatively pale eggs and when parasitised by the Green vegetable bug egg parasitoid the eggs turn black. 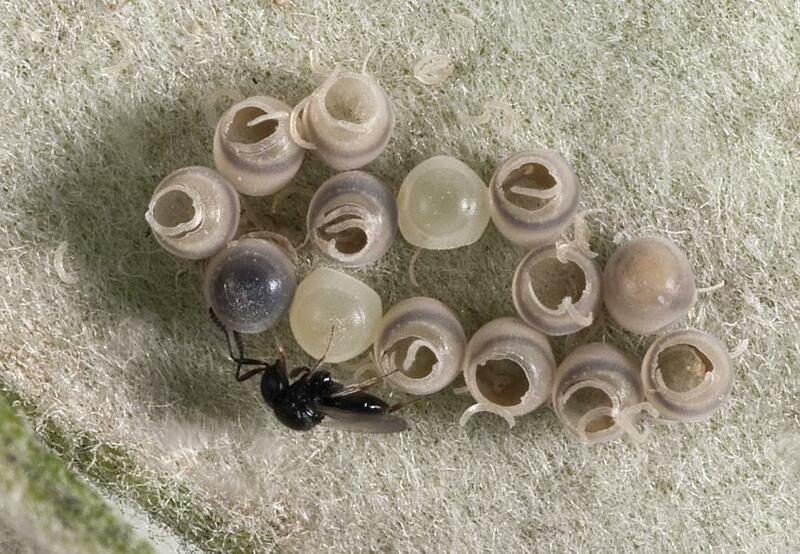 When they are parasitised by the Native shield-bug egg parasitoid, the eggs have a black ring near the top of the egg and just before the wasp emerges, the top of the egg also turns black. 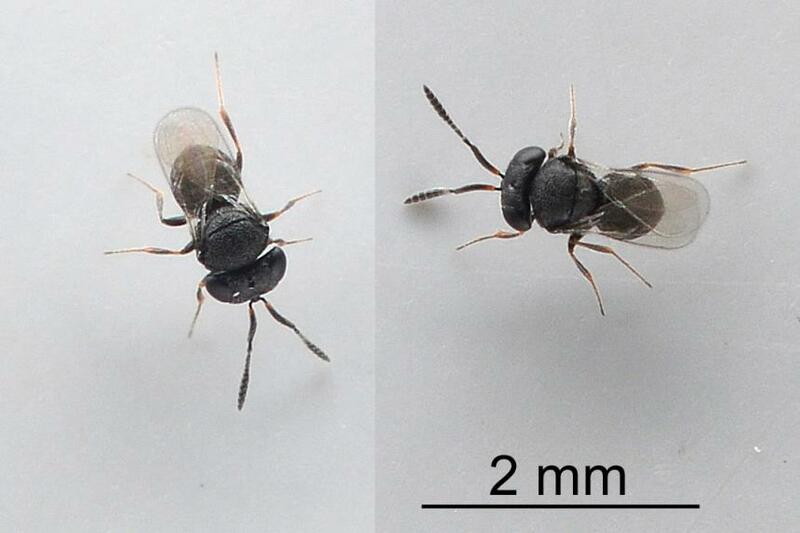 This method of parasitoid wasp identification will not work for the predatory Pentatomidae in New Zealand that lay black eggs. 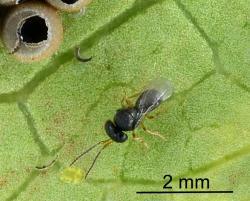 However, when the adult wasps have emerged, it may be possible to recognise the species. 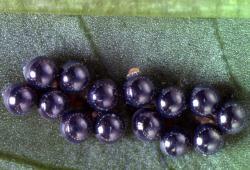 Adult Green vegetable bug egg parasitoids and Native shield-bug egg parasitoids have stubby black bodies. 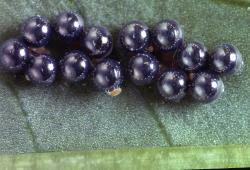 The Adult Green vegetable bug egg parasitoids has pale reddish legs and the basal half of the antennae is also pale with the other half being black. 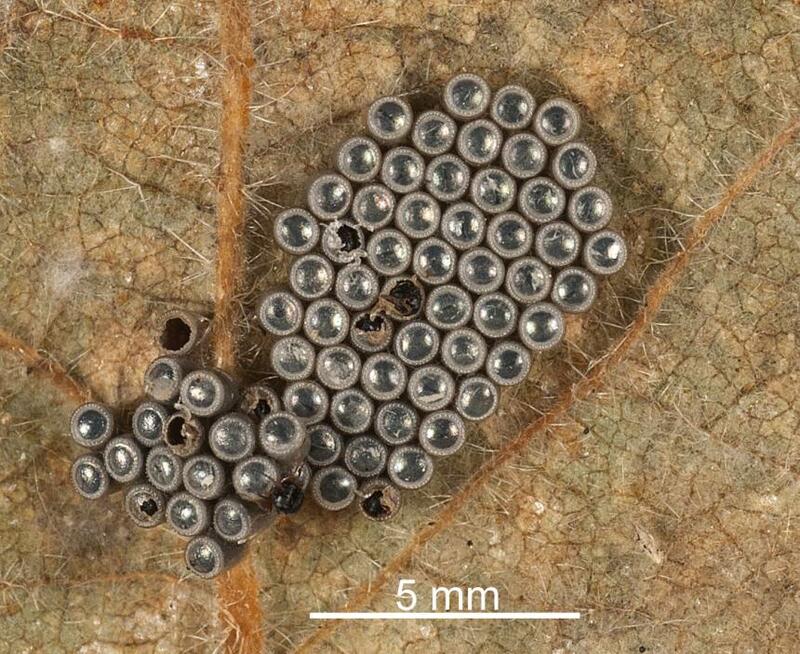 The Native shield-bug egg parasitoid adults have darker legs and antennae. 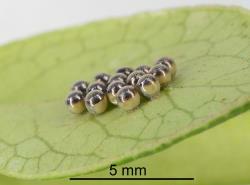 The adults of the third species, Trissolcus maori Johnson, 1991, that parasitizes the eggs of the closely related family, Acanthosomatidae, are smaller than the other two species. Also it has light coloured legs and dark antennae. 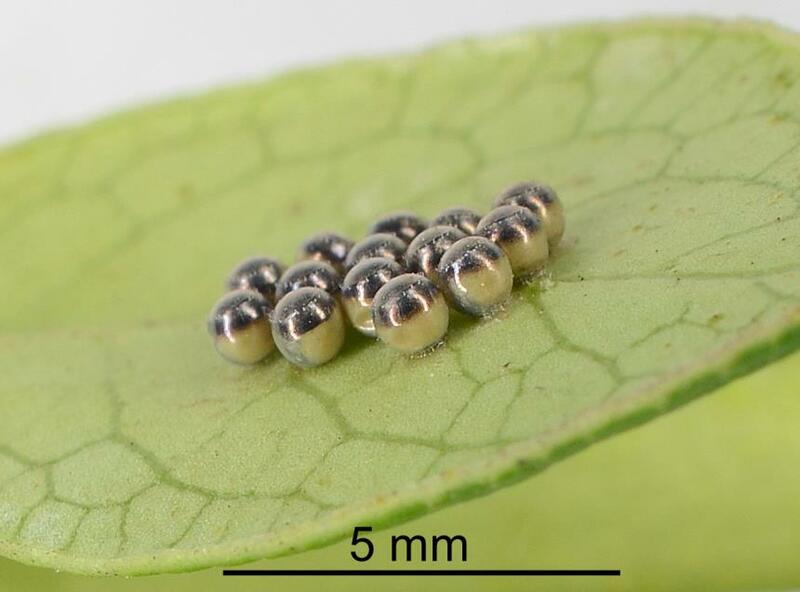 Eggs of the Australasian green shield bug, Glaucias amyoti (Hemiptera: Pentatomidae) on the underside of a leaf of Coprosma robusta parasitized by the Native shield-bug egg parasitoid, Trissolcus oenone (Hymenoptera: Platygasteridae): note the black ring and dark top to the eggs, the latter indicating that the eggs are about to hatch. Two images of adult Native shield-bug egg parasitoids, Trissolcus oenone (Hymenoptera: Platygasteridae). 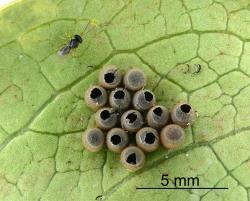 No pathogens, parasitoids or predators of the Green vegetable bug egg parasitoid are known. The adults are probably caught by predatory insects, spiders and birds. 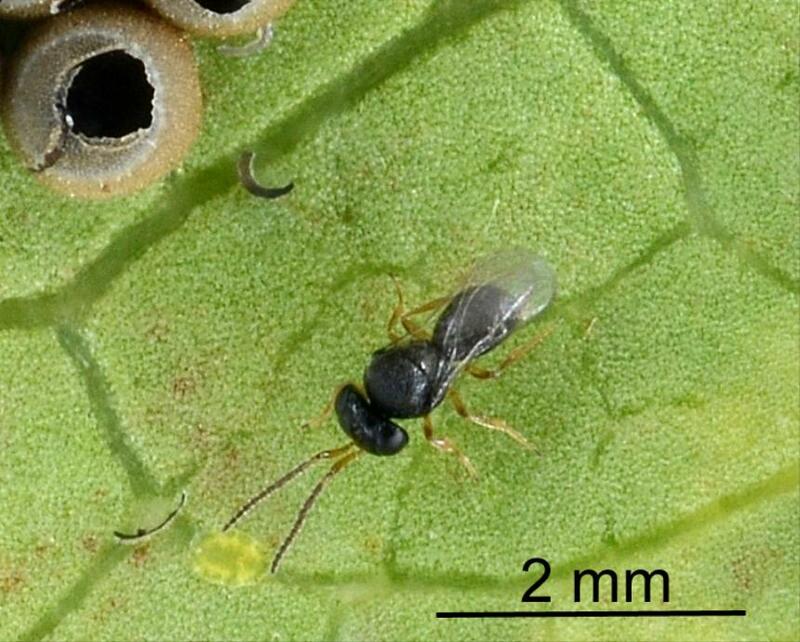 The Green vegetable bug egg parasitoid was released into New Zealand to help control the Green vegetable bug, Nezara viridula (Hemiptera: Pentatomidae). 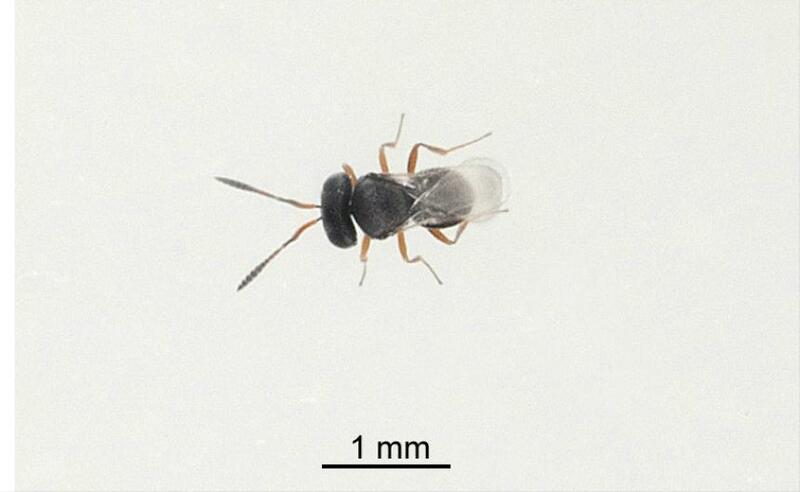 It also parasitises native and Australia Pentatomidae in New Zealand. Table: New Zealand hosts of Green vegetable bug egg parasitoid, Trissolcus basalis, (Wollaston, 1858) (Hymenoptera: Platygasteridae), from the Plant-SyNZ database (13 January 2018). The reliability score shows the quality of evidence for the host association (0-10, 10=high quality). Classical biological control of a pest or weed involves the release of a natural enemy, parasite, predator or pathogen into another country where the pest or weed has established itself. Ideally, the natural enemy provides adequate control of the pest or weed, so that it is no longer a problem. Many such natural enemies have been released into New Zealand, and some have been very successful. 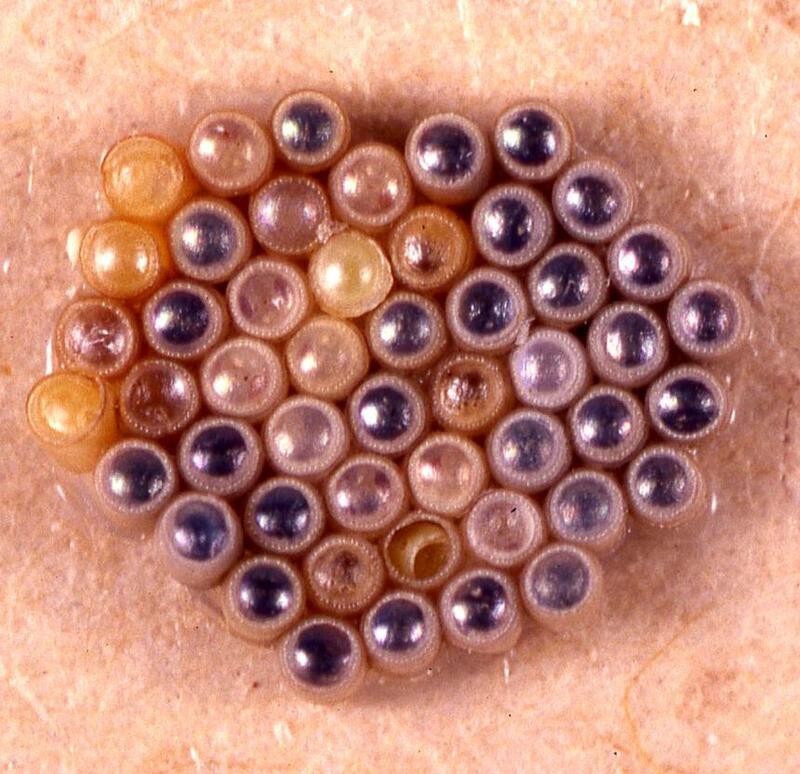 When the Green vegetable bug egg parasitoids, Trissolcus basalis (Hymenoptera: Platygasteridae) was released into New Zealand in 1949, the primary concern was the control of a serious pest of crops. There was no concern for its possible effects on the native fauna. Later when it was found to also parasitize native shield bugs, this was considered beneficial as it increased the populations of the parasitoid that could then attack its primary host, the Green vegetable bug. Today, a potential biological control agent must be tested for safety to native and beneficial organisms in New Zealand. An application to release the organism into New Zealand must be made to the Environmental Risk Management Agency (ERMA). ERMA has to assess the risks and benefits from the proposed release. Once permission for release has been granted, the organism is imported into quarantine and tested for freedom from diseases and parasites. Cameron PJ. 1989. Nezara viridula (L.), green vegetable bug (Hemiptera: Pentatomidae). Pp. 111-114. In: Cameron PJ, Hill RL, Bain J, Thomas WP (eds). A review of biological control of invertebrate pests and weeds in New Zealand 1874-1987. CAB International, Wallingford, Oxfordshire, UK. Martin NA. 2018. 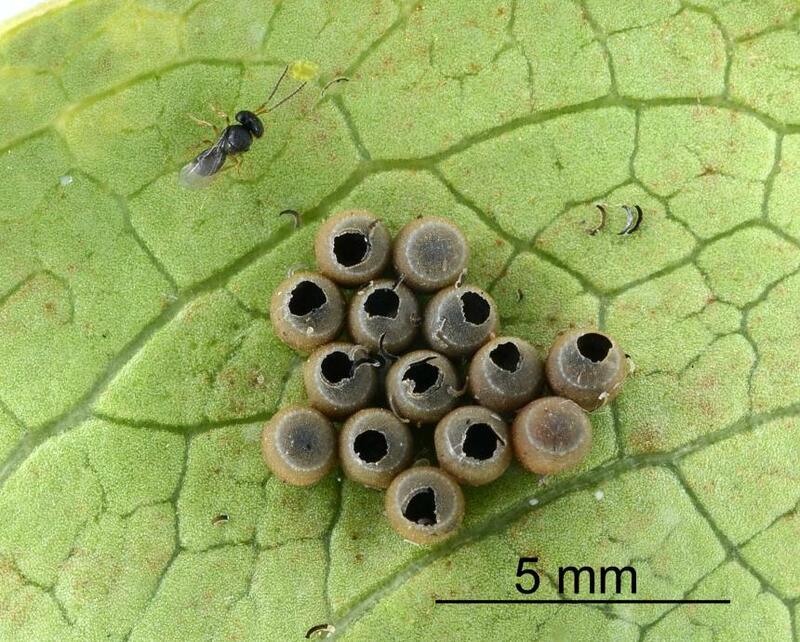 Green vegetable bug egg parasitoid - Trissolcus basalis. Interesting Insects and other Invertebrates. New Zealand Arthropod Factsheet Series Number 122. http://nzacfactsheets.landcareresearch.co.nz/Index.html. Date Accessed. ISSN 1179-643X.